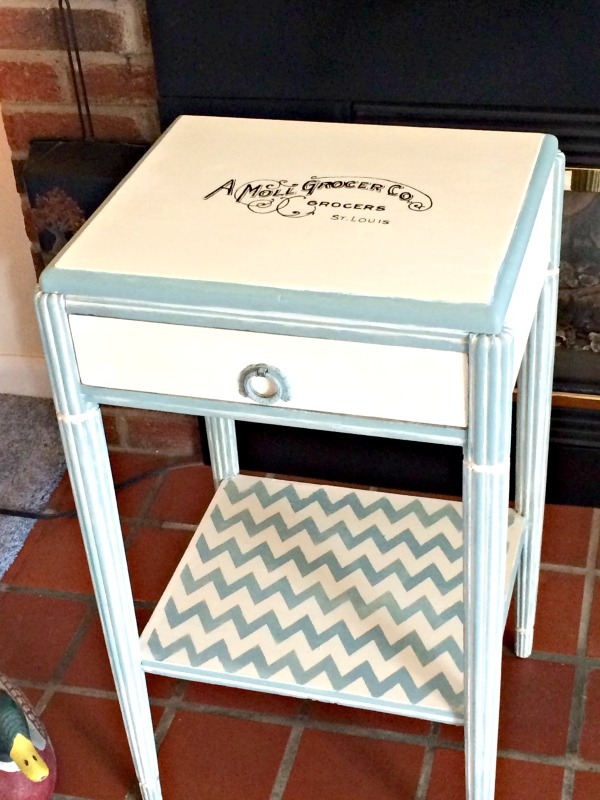 This morning’s reader feature was submitted by Kathy, who made this DIY Chevron Side Table. 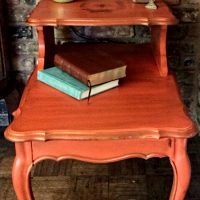 First, she used Old White and Duck Egg Blue Chalk Paint (Annie Sloan) to create a unique pattern highlighting the natural elements of the old Dutch side table. 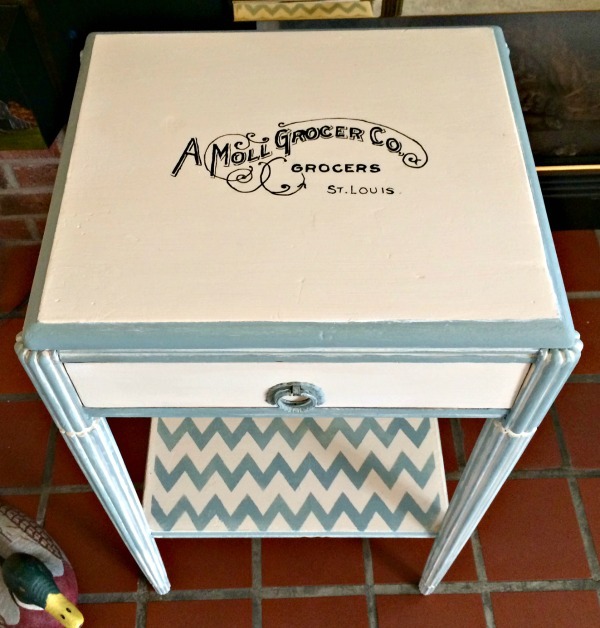 Then she added a chevron pattern and the Vintage Grocer Graphic for the finishing touches. This project turned out great! To learn how to transfer images yourself, visit the Transfer Methods Page. « Pretty Birds with Nest Picture! It’s very,very pretty. You’re so creative. I wish you much success. 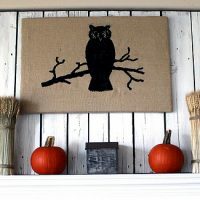 Hi Karen, thank you so much for featuring my project! It’s exciting to see it shared on your site. I LOVE visiting your projects, and I always have new ideas after browsing through the new images and others work~ What a blessing to have found the Graphics Fairy! You’re so welcome Kathy! 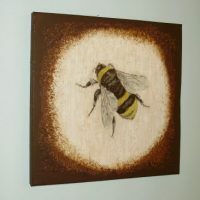 Thanks for submitting such a cute project and for your kind words about my site!